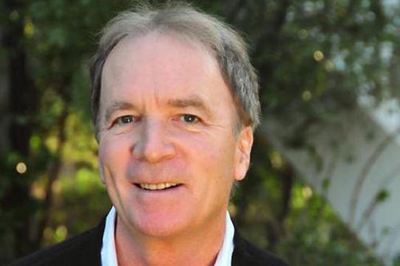 Ken Corday (Porter 1977) and the Corday Foundation have made a substantial financial contribution to the UC Santa Cruz Arts Division to establish the Kenneth R. Corday Family Presidential Chair Endowment in Writing for Television & Film. The gift will significantly strengthen the Film and Digital Media Department’s screenwriting program and enable our students to learn directly from guest lecturers and experts in the field. Corday, who graduated from UC Santa Cruz with a BA in Aesthetic Studies-Music, is the music composer and executive producer of the extremely successful daytime show Days of Our Lives, which, like UC Santa Cruz, is celebrating its 50th anniversary this year. He has been nominated for 16 Daytime Emmys and won the Daytime Emmy Award for Music Direction and Composition for a Drama Series in 1990 and 1997. He also won the 2007 Film & TV Music Award for Best Score for a Television Daytime Drama for his work on the series. Days of Our Lives has won numerous Emmys over the years and was awarded the Daytime Emmy for Outstanding Drama Series in 2013 and 2015. The show is one of the longest running scripted series in the world. "Strong and compelling storytelling is the foundation to the success of any television production,” said Corday. “As a proud UCSC alumnus, it is my honor to create this opportunity for the next generation of aspiring television writers." Corday credits music lecturer in jazz and composition, Randy Masters, with being a major influence on his life and career. He is thrilled to be able to support his alma mater, and especially with an endowment in writing since he believes that the success of any television or film is due to having outstanding writers who can create exceptional scripts. Corday also has just completed his first novel, Ladies of the Lake, an intriguing murder mystery set in a wealthy community filled with disgruntled wives. His other book, The True Story of One Family’s Dream and the Untold Story of Days of Our Lives, is about his notable family legacy. Corday is CEO of Corday Productions which was founded in 1965 by his parents, Ted and Betty Corday, who originally created Days of Our Lives. In addition, the production company is part of All Screens Media, an international, interactive digital media company, and the TruLOVE online network. In 2004, Corday and his wife Sherry established the Corday Foundation, whose philanthropic goodwill supports numerous causes including Children’s Hospital of Los Angeles, the Juvenile Diabetes Research Foundation, and the Rhode Island School of Design.